UPDATED Police release name of shooting victim. 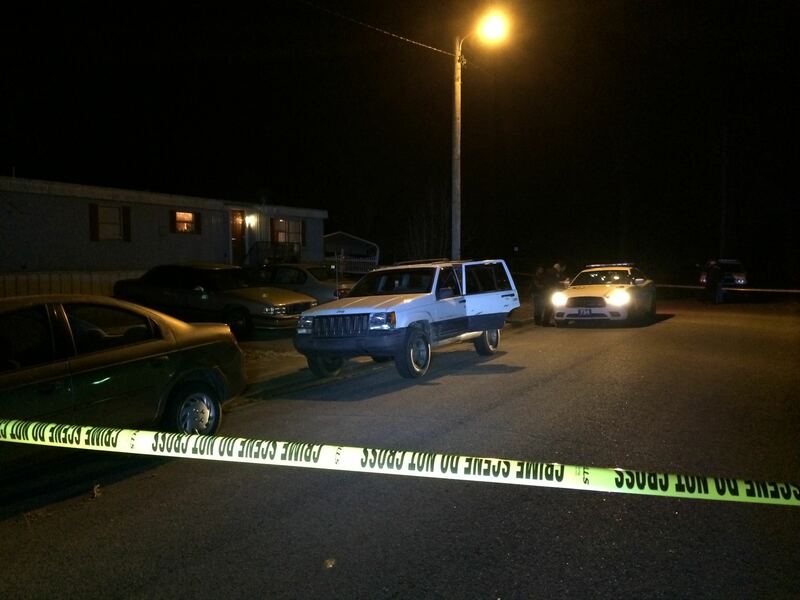 Springfield Police have released the name of the shooting victim from Saturday’s shooting. He is identified as Joseph Sharkley age 24 of Gallatin Tennessee. According to Police, Sharkley appeared to have a gunshot wound to the upper part of his body from shots that appeared to have come through the back window of the Jeep Cherokee he was in. The Jeep was occupied by the victim and two females also from Gallatin, Tn. Other than the victim, no one else was injured in the shooting, police said. Springfield Police Detectives are still investigating the case and following up on leads. Police did indicate that they have developed a person of interest but have not released the name of the individual. Anyone with information regarding this case is encouraged to contact Springfield Police at 615-384-8422 or crime stoppers at 615-382-3799. All information is anonymous and crime stoppers will pay up to $1000.00 for information that leads to an arrest. Springfield Police have confirmed that there was a fatal shooting at a market located on Central Ave in Springfield. The market is located next to Larry’s restaurant directly across from the Springfield fire station. (Location of market) A call came into 911 that shots were fired at the market around 8:40PM Saturday evening. We believe that when police arrived at the market on Central Ave everyone had already fled the scene. About ten minutes later (around 8:50pm) another call came into 911 about a possible shooting victim a few blocks away on Childress Street. When police arrived at that location they discovered a male in his 20’s in a white Jeep Cherokee parked on the side of the road. According to police, the victim was deceased and they quickly tied the two locations together. From what we were able to understand at the scene, the victim was in the back seat of the vehicle and the shots appeared to have come through the back window. According to Springfield Police Chief David Thompson, the shooter approached the Jeep in the parking lot of the market on Central Ave. The Jeep was occupied by three people (one male and two females we believe). At some point the Jeep sped away as the shooter fired multiple gun shots at the vehicle. One of the rounds fired at the vehicle struck one of the occupants inside the vehicle, according to Thompson. The vehicle made it as far as Childress Street in Springfield which is just a few blocks from the Market on Central Ave. The victim died in the vehicle, Thompson said. No other occupants in the vehicle were injured. The identity of the victim has not been released as Springfield Police are still trying to locate the victim’s relatives, Thompson said. Police have no suspects in custody at the moment. Police have just begun their investigation so little information is available at the moment. Smokey will continue to follow this developing story and bring you updates as they come in.Smokey would like to convey our deepest sympathy to anyone affected by this tragedy. Follow comments on this story on Facebook..